The paths both teams have taken to reach this apex of the club season are remarkably different. Revolver’s losses and mistakes have been brief flashes of fallibility, but not much more. 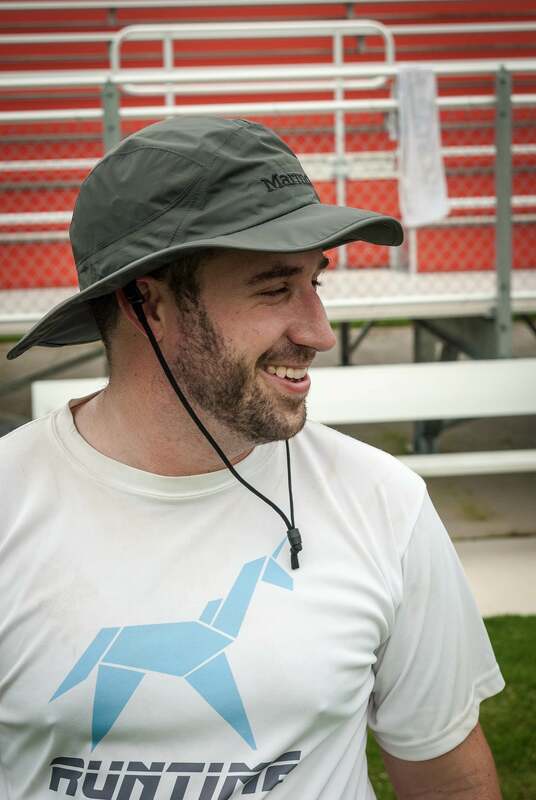 Save the two regular season losses and the out of character turnovers in yesterday’s semifinal against a worthy Raleigh Ring of Fire defense, Revolver is what they are known to be: a team with unmatched roster depth and a wealth of championship experience. PoNY’s season started with questions marks before Worlds. A dismal first outing at the Pro-Elite Challenge in early July felt like it was PoNY only in name. By August, with Jimmy Mickle, Chris Kocher, and Alex Ladomatos on the roster, PoNY’s ceiling was much, much higher. And their elite potential flashed at the Pro Championships: they had the offensive talent to outrun San Francisco’s two and half D-lines and their own defensive discipline to make Revolver nervy on offense. Raleigh’s junk and zone looks—especially those anchored by the towering Mischa Freystaetter—offered a framework for slowing down San Francisco that New York can build upon. Length and speed can frustrate Ashlin Joye and using switches to make Jordan Marcy get stuck once he’s pushed down field will force Joye to take tough resets that test the inside windows. Keep an eye on PoNY’s Conrad Schloer, Ben Katz, and Ladomatos—they are the type of scrappy smart individual defenders that can make life tough on Grant Lindsley, George Stubbs, and Joel Schlachet. That shouldn’t take away from what PoNY can accomplish defensively as a team, either. Much the way that Revolver recovered from their deficit against Ring yesterday, PoNY has twice battled their way out of difficult spots: once in quarterfinals against Chicago Machine (who took a 7-3 lead before PoNY clawed back) and again in a knockdown, drag-out semifinal yesterday where they traded leads with Seattle Sockeye. PoNY has the confidence and salt to stand toe to toe with Revolver and not blink. For all the strength that PoNY has shown, however, they’ve earned what appears to be a puncher’s chance to take down San Francisco. They are not the favorite. It’s Revolver who have won three of the last six Men’s Division titles and played in five of the last six finals; Revolver are the consummate champs with plenty of talent to slow down Jimmy Mickle, Chris Kocher, Sam Little, and Ben Jagt. San Francisco are meticulous defensive specialists and they have a line for every situation. Nathan White and Nick Stuart can pin offenses with their pulls. 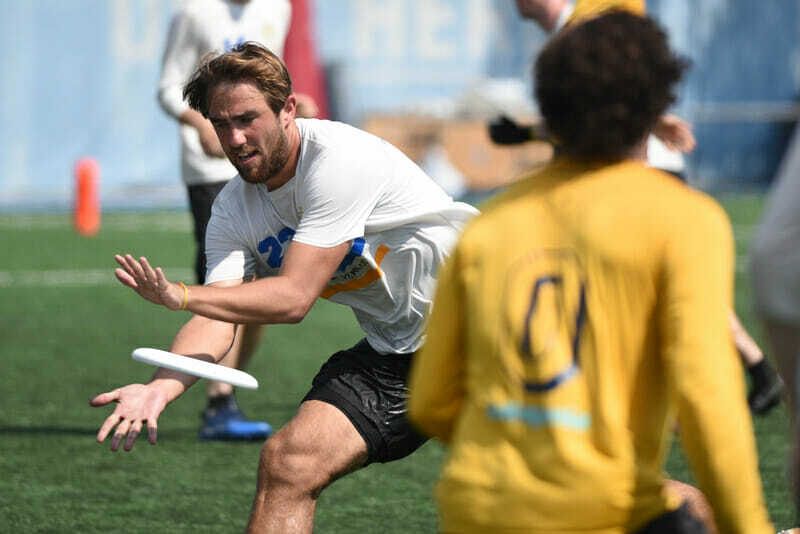 White has the long mark to smother PoNY’s throwing ace Harper Garvey, while Stuart, Cassidy Rassmussen, Byron Liu, and a host of other tough defenders can rotate through assignments on Kocher, Keegan, Little, and Jagt. They can use force-middle and zone looks to change the pace of PoNY’s offense and lean on each other to make spectacular individual plays. Whatever the outcome, having these two teams in the final feels inevitable: San Francisco has been the favorite all season. PoNY have the frothing potential and the division’s best player in Mickle. All that’s left is to play the game. You can watch the game at 3 PM Pacific on ESPN.com/watch. Follow along with all the action on our liveblog. Comments on "Revolver, PoNY To Meet In Inevitable Final"